Gastonia Dentist Dr. Bruce Miller knew from an early age that he wanted to work in the field of dentistry. He underwent orthodontic treatment as a child and understood first-hand how improving his smile changed the way he felt about his overall appearance and self-esteem. This is one reason he is so passionate about cosmetic dentistry. His father, Dr. Joseph Miller, was a local physician and although Dr. Miller knew he was interested in something along those lines, ultimately, the Gastonia native determined that dentistry was a better fit for him. Dr. Miller earned a bachelor’s degree in psychology from the University of North Carolina at Chapel Hill, where he also was a member of the varsity swim team. As an undergraduate, he received a swimming scholarship and was conference finalist in two events. He was also an all-conference academic athlete. He went on to graduate from the UNC at Chapel Hill School of Dentistry in 1979. 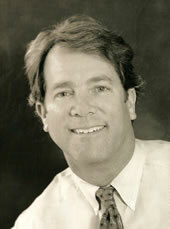 Dr. Miller worked for a dentist in Raleigh before opening his dental practice in Gastonia in 1980. With this much experience under his belt, Dr. Miller has felt privileged in getting to know not just individuals, but entire families. He has treated patients as children and watched them grow up as they continued to return for appointments every six months. As he has practiced since 1980, he now sees children of adults who were once young patients of his. This is something he is very proud of. Dr. Miller and his wife, Patricia Pearson Miller, have been married since 1978. They have three sons, the oldest of which is a Dartmouth College graduate who lives in San Francisco and works in solar energy after having spent three years working in that field in China. Their two younger sons are graduates of UNC at Chapel Hill. His middle son has moved to the west coast to work in the coffee industry. Dr. Miller enjoys exercise, and his hobbies include enjoying the outdoors, swimming, running and biking. He has run the Boston Marathon, as well as several other marathons. He is an Eagle Scout, and spent time working with Scouts, as two of his sons were Eagle Scouts. He also enjoys reading in his spare time- particularly in the areas of history and religion. He is on the board of directors for the Greater Gaston Boys and Girls Club and has been involved in mentoring there for a number of years. He also is on the board of Hospice of Gaston County, where he also is a past president.